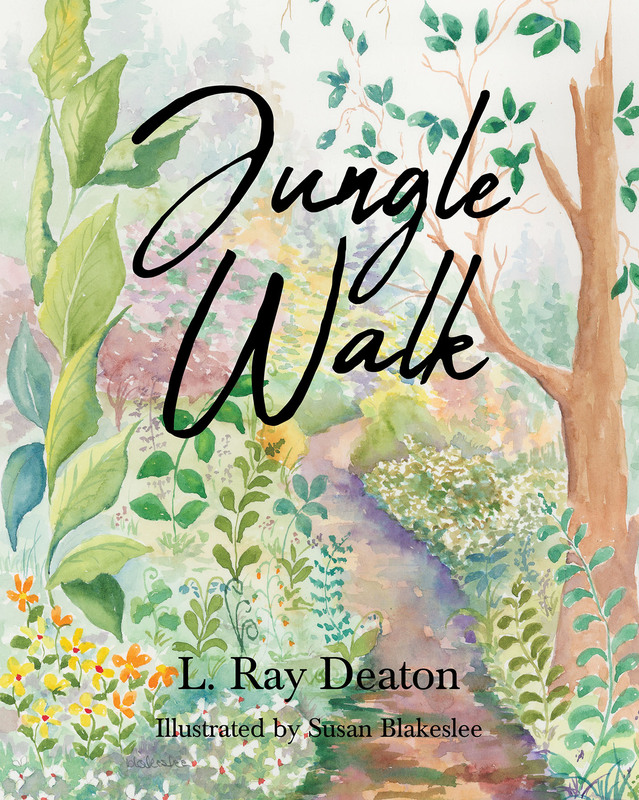 Ray Deaton wrote Jungle Walk for his granddaughter to help her navigate through the decision processes that we all face on a daily basis. In the poem, the hero, or protagonist, is faced with decisions from the very beginning. Why am I here? The impetus that propelled him through the initial stages was the friendly animals, which could represent friends, teachers, etc. The surroundings, although alien, provide the motivation to proceed deeper into the jungle. Forks in the road represent major decisions or possibly life-altering possibilities. As you read the poem these decisions and forks in the road could be discussed with the child, suggesting that they substitute the decisions needing to be made by our hero with actual events in the child's daily routine. Finally, the story was written in poetic form to gain and maintain the child's interest.